Stepping in for ADSR mix 024 are a couple of talented lads by way of Galway, Ireland- The Maze DJs. Starting a weekly clubnight in their west coast town, Gerard and Ervin have since gone on to book and play alongside some of the biggest names in the house / techno world. Now located in Manchester, the two serve as the UK correspondents to Four Four Magazine and continue to turn out dancefloors across the country. Talk to us a bit about the Maze DJs and Maze FM. What is the ethos behind the mix series? Maze DJs consists of two of us, Gerard and Ervin. We started as a weekly clubnight in Galway, playing at our own events and booking DJs. Since then, we’ve moved away from promoting and focused more on DJing and some other behind the scenes projects in the music industry. 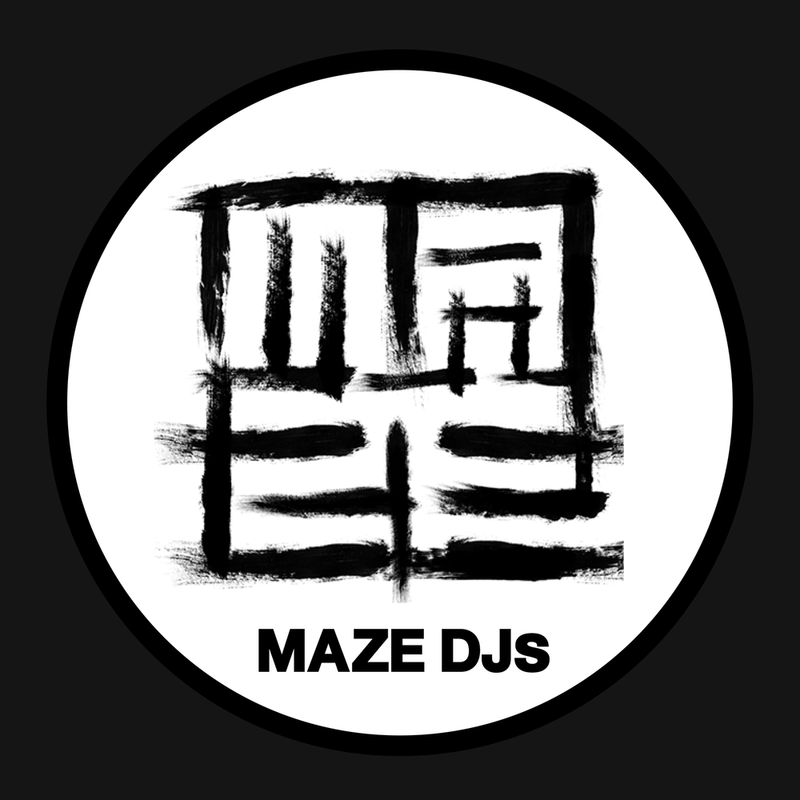 We host a podcast called Maze FM (linked below) on our Soundcloud which features guest mixes from DJs that we like. We also do interviews with Artists and other people linked to the music scene such as Sacha Lord, Owner of the Warehouse Project in Manchester. What makes a good DJ mix? How do you approach a radio mix and playing to a club differently? People often overthink it. Club music is mood music, it’s all about finding the atmosphere of a room and catering towards it. A radio mix doesn’t have the context of a dance floor so you are not playing with any particular crowd in mind. We tend to keep our selection in podcast mixes quite similar to our club sets. Nevertheless, mixes often give us room to play out tracks that might not necessarily be suitable for a club. You guys have hosted many great names from the house/techno world over the span of a couple short years. Take us through some of the highlights. We were the first promoters in Ireland to book Jacob B, who has since become a good friend of ours. Seeing his career rise as it has, since we first met him a few years ago has definitely been a highlight for us. Another memorable booking was Andhim. They played a brilliant set and the atmosphere was incredible! We were also quite chuffed to see a deeper act succeed in Galway. Now you are the UK correspondents for electronic music magazine Four Four. What do you guys generally cover in Manchester? Yes, we have recently collaborated with Four Four Magazine on a series of video features called Maze DJs Presents. We frequently cover stories across the UK and Ireland. Having studied journalism in University, it’s been great to match our passion for story telling with music. We’ve also teamed up with our camera man, Dave Dullage who makes all of our shots look so nicely polished. Our first video was a feature on Slam at their homecoming gig in Glasgow (linked below) and next up is a mini documentary on the music scene in Cork, Ireland. Things originally started out for you in Galway, Ireland. How about the house / techno scene there? How does it differ from Manchester? Galway has a thriving music scene. For such a small city in the West of Ireland, it’s incredible to look back on the amount of quality acts that have played there over the years. There’s no shortage of nights also. It’s not uncommon to have three great acts playing on three consecutive nights. However, Galway is much smaller city than Manchester so naturally there is far more variety here. If you’re into any sort of obscure music, there is probably a club night/scene that will cater for that. Top 3 tracks for you at the moment? The mix we have put together for you is a slightly more melodic feel to it. It’s just music that we really like and hope you will too.